Some people are always confused about whether to go for an indoor sauna or an outdoor one. However, most of them fail to realize that it’s a rather subjective decision, and one needs to keep a lot of factors in mind in order to make the right choice. A lot of space to store it properly, without making the surrounding look messed up. Have large rooms in the home. Don’t minding keeping a whole room for the sauna. Don’t have a lot of spare space in their home. Haven’t got large rooms in their home. Can’t keep a whole room for the sauna. Want to increase the overall attractiveness of their surroundings. 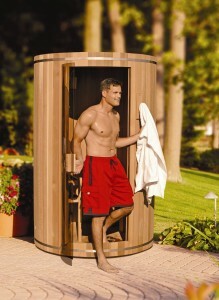 Want to enjoy seeing the outside surroundings all while resting in their outdoor sauna. Hence, there are clear differences between what indoor and outdoor saunas offer, and one should consider going with what their specific needs are. Now, if you have decided to go with a sauna that can be used both indoor and outdoor, know that you don’t have a very wide range of options to choose from. Hence, your best bet here would be go with something that is being offered by a reputed manufacturer, in order to ensure top notch quality and no issues with your sauna. When it comes to producing such saunas, however, there don’t seem to be many who deliver the type and quality of saunas that the popular sauna manufacturer Almost Heaven can. In fact, despite there being such a limited variety of such saunas, Almost Heaven actually offers quite a lot of different types of outdoor saunas. Can be used indoor as well! Well, this is something extremely rare feature offered by any sauna. 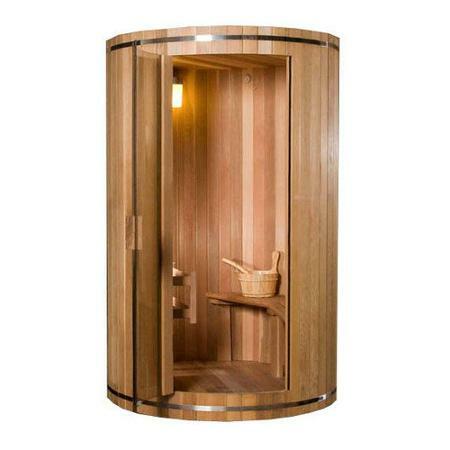 Most saunas can either be used indoors, or outdoors. However, Almost Heaven has designed the 2 Person Outdoor Indoor Sauna in such a way that it can be used both indoor and outdoor. This ensures that you can decide to use it as an outdoor sauna if there isn’t enough space for it in your home right now, and can bring it in later on when you move in a larger home or increase the spaciousness of your home by remodeling your home. It ensures super comfortable heat and insulation levels, and all you have to do is sprinkle water on the hot sauna rocks to enjoy a burst of steam that would instantly fill the entire room. This sauna can fit in only two people comfortably, but the superbly lavish style and design more than makes up for this lack of space, especially if you are a small family anyway. Summary : This sauna can fit in only two people comfortably, but the superbly lavish style and design more than makes up for this lack of space, especially if you are a small family anyway.